This Viking piece has been long discontinued by Windlass Steelcrafts, and yet another customer purchase from the Bruce Brookhart collection. I wanted to try doing a strap bridge, since I have yet to do one in the shop. 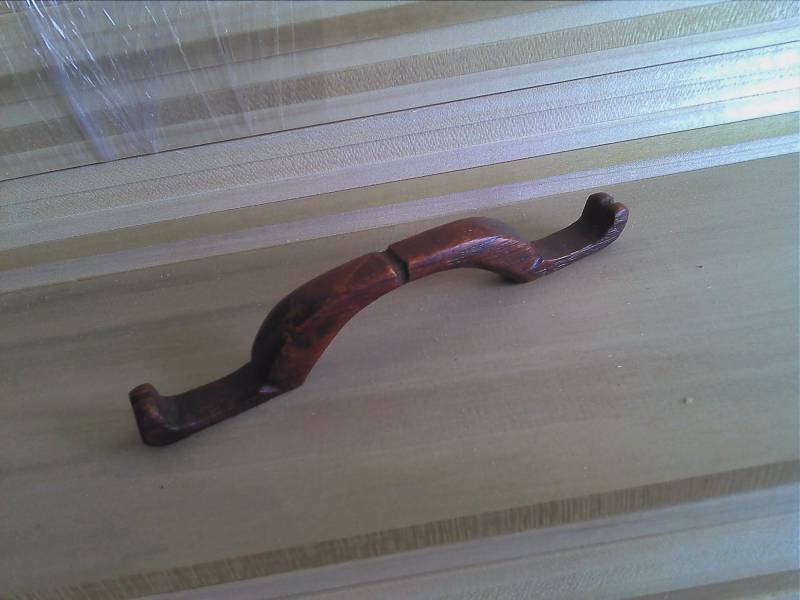 I had a small piece of 200 year old red oak salvaged from a broken antique table leg which I carved into a simple strap bridge. The wood patina is natural, it has only been waxed for preservation. I did a little file work by hand to add detail. To test it's strength, I stood on it - and I assume if it will stand 250 lbs, it can withstand daily wear. I created the kiln-dried poplar scabbard core, and wrapped it with leather over simple risers to give it a simple, but elegant aesthetic. The cover has been dyed a rich black in color and finished to a semi-gloss sheen. I then affixed the strap bridge with two tooling leather straps dyed a dark tan to accent the wood color. 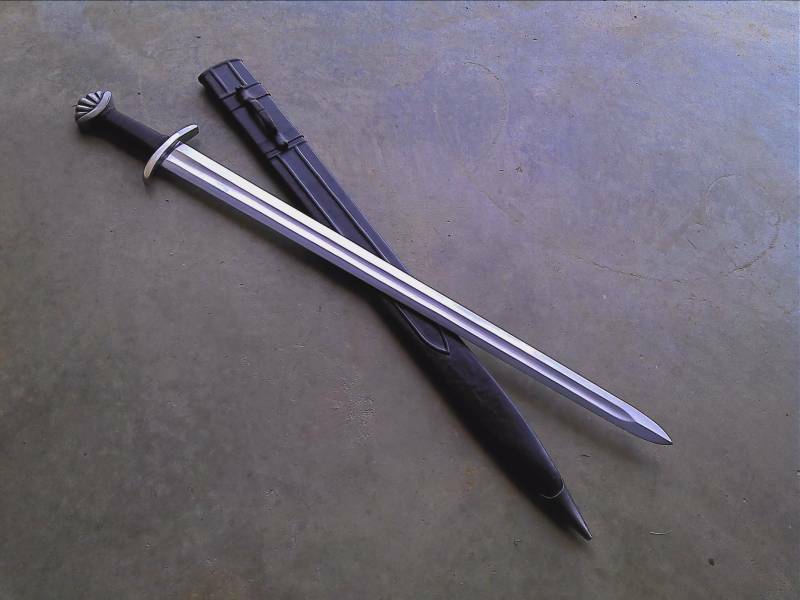 The chape is mild steel, cut into a simplistic shape to accent the rather acute tip of the sword. The chape was left with a mild antique finish, with a little heat bluing still apparent. 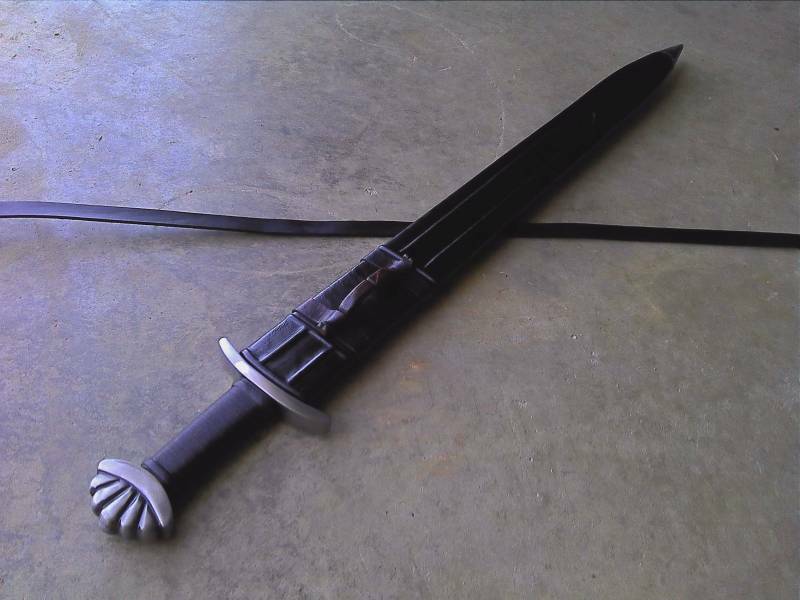 The hardware on the sword was given a light patina with cold blue. 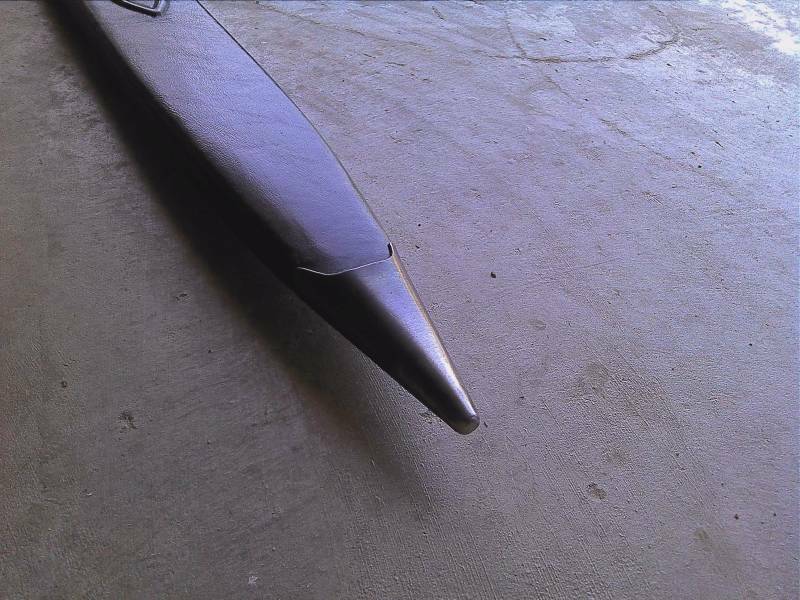 I then drew the finish back on the guard and pommel, leaving the recesses in the pommel darkened to accent them. I finished the furniture off with a 600 grit satin finish. 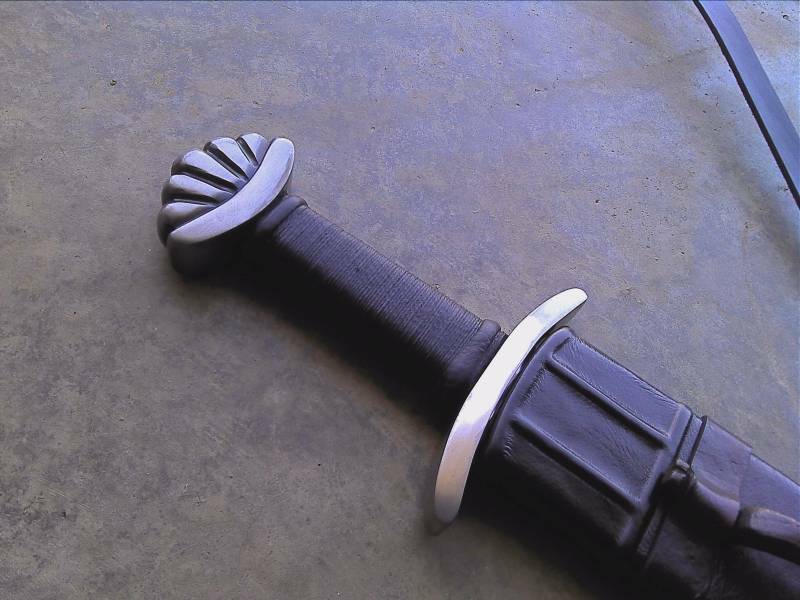 The peen was touched up to make it better blend with the sword itself. The grip was redone in black 1oz pigskin, corded, dried, and waxed. 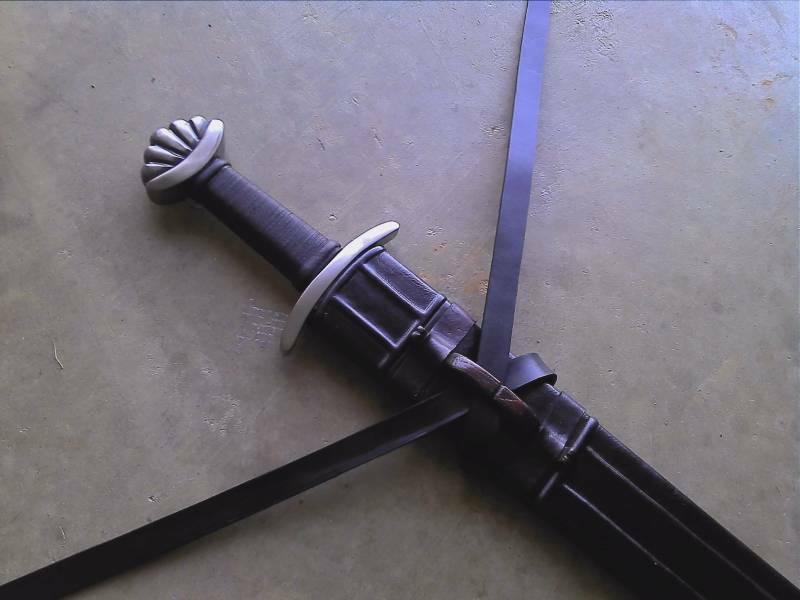 Two latigo risers near the guard and pommel were added under the leather. 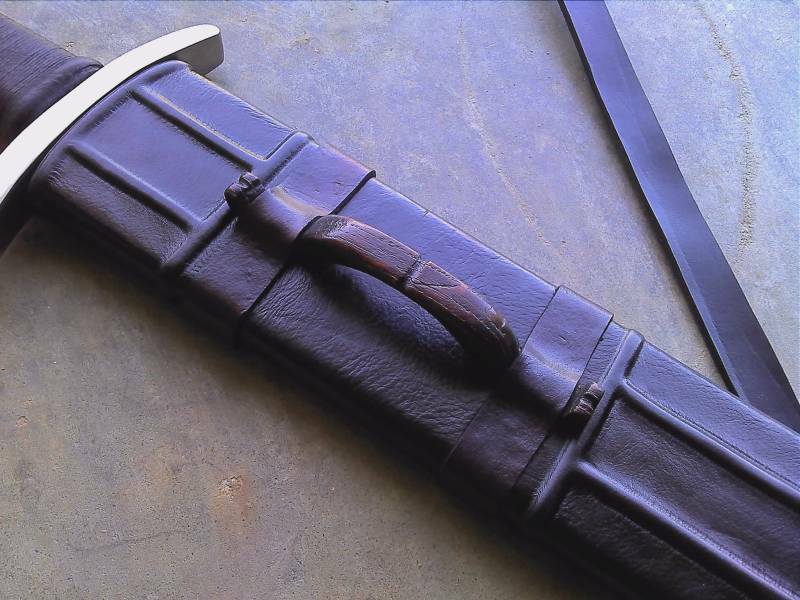 The baldric is crafted from 9oz leather, dyed black; with a single steel buckle. 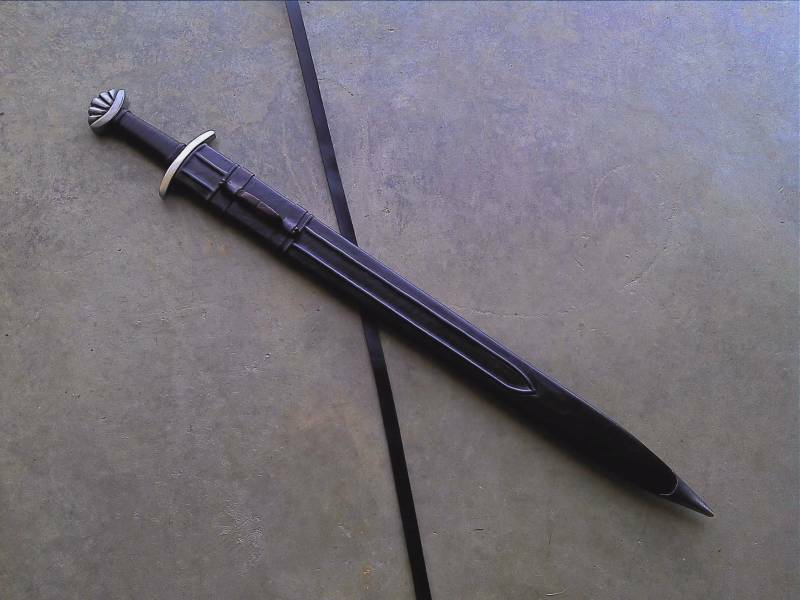 Years after the fact, this Windlass Viking Sword is ready again to set out on an adventure! From what I have read, this is one of the best Windlass viking style swords they produced. I like the way you fixed it up.